The Smith Reserve is a subdivision in Montclair and is now known as Piedmont Pines. It open for sale in May of 1926. The history of Smith Reserve dates back much longer. The area is located at the top of Park Blvd with borders on Shepherd Canyon and Joaquin Miller Park and up to Skyline Blvd. 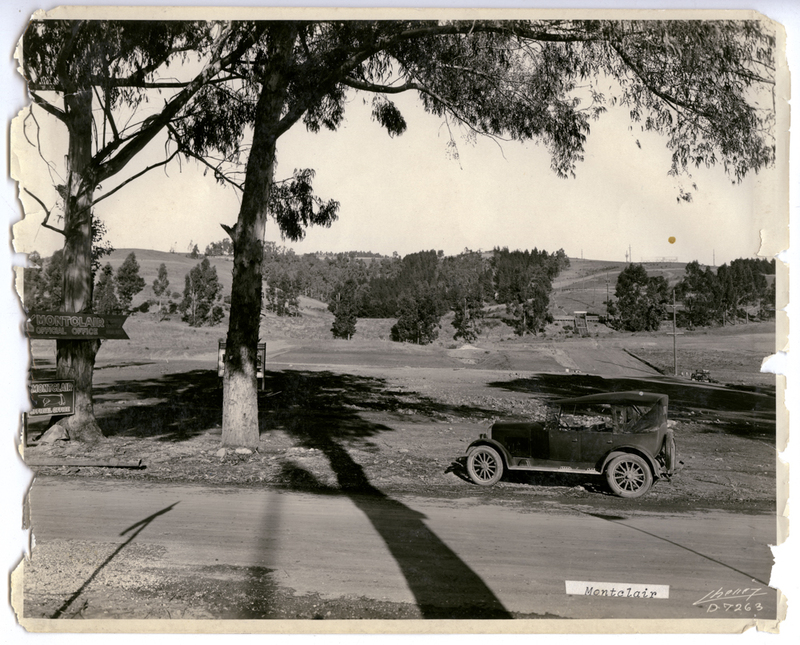 In 1919, 25 acres of Smith Reserve was sold to the Oakland-Piedmont Council of the Boy Scouts of America, to be used as a camp for the scouts. It was called Camp Dimond (more on that later) was in use from 1919-1948. In 1948 the Oakland Public School district took over the land and built Joaquin Miller Elementary and Montera Junior High Schools. In May 0f 1926 the Realty Syndicate put the rest of the Smith Reserve on sale. In that same edition of the Oakland Tribune, it stated by company officials that the “Smith reserve is the most beautiful tract of land opened by the Syndicate Company” and is located “east of Sheapard (Shepherd) Canyon, and extends from Smith Lake (Ascot Ct?) near the Boy Scout Camp to Skyline Blvd”. In July of 1926, two months after the subdivision was open the Realty Syndicate reported nearly $250,000 dollars in sales. It was also reported that a bus transportation system will be put into operation, connecting with both local and San Francisco electric lines. -Oakland Tribune July 18, 1928. In an October 1928 edition of the Oakland Tribune noted actress, Miss Grace Valentine acclaims “Smith Reserve the most beautiful home-park that she had ever seen in the Eastbay”. Miss Valentine was staring at the Fulton Theatre. In leaving Miss Valentine said “ If I were a permanent resident of the Eastbay I would certainly wish to make my home in this beautiful park” Oakland Tribune October 21, 1928.